A New York Times Notable Book of the Year, The Devil's Dream is an animated, lyrical novel that is meant to be savored as spoken word. 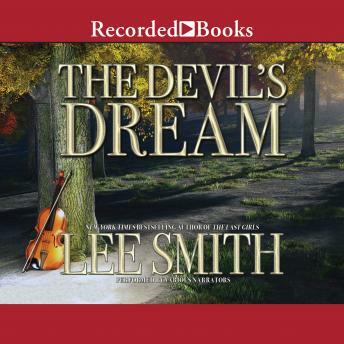 Consummate storyteller Lee Smith's creation will delight anyone who enjoys the sound of language and a good story. Preacher's son Moses Bailey believed that the fiddle was the voice of the Devil and denied his wife the pleasure of the music she dearly loved. She fiddled for her three children behind her husband's back. Thus begins a magnificent 150-year saga of a musical Southern family featuring barn dances, medicine shows, the Grand Ole Opry, and the evolution of country music from hymns to rockabilly. Generations of authentic, down-home mountain people spring to life, colorful dialects and all, through the magic of several extraordinary narrators. Each chapter, a story in itself, will move listeners with its passion, emotion, warmth, and intimacy.